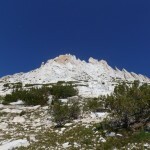 A big part of the Sierra Challenge’s appeal is meeting and hiking with an interesting group of people, so I usually try to plan my days to at least share an approach with the group. 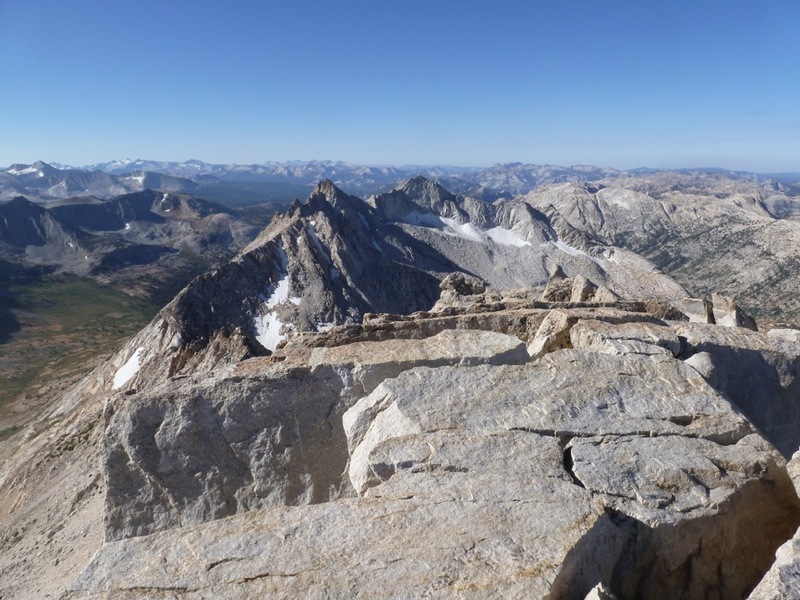 That unfortunately didn’t work out today: Matterhorn and Whorl were the obvious peaks in the Twin Lakes area, and the direct approach up Horse Creek diverges immediately from the approach to Eocene. 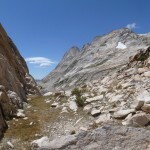 The Horse Creek trail is easy to follow to the second flat area, and bits of trail can be found through the talus leading to Horse Creek Pass, which itself is not that bad. 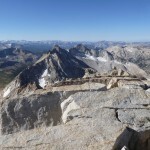 I had a clear view of Sawtooth Ridge, including the Doodad, for much of the middle part. 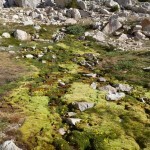 With easy grass and slabs on the other side of the pass, this would be a good way to start a backpack into northern Yosemite. 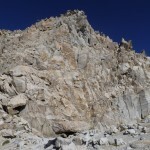 The pleasant hiking ended abruptly at the pass, becoming a fairly wretched sand-slog up Matterhorn’s southwest slope. 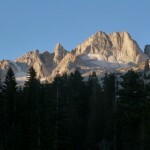 From this side, it is one of the least Matterhorny peaks in the Sierra. 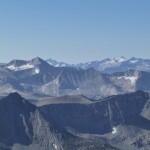 However, the view from the summit somewhat makes up for the suffering, with Sawtooth Ridge to the north, Whorl, Finger, and the Slide to the west, and Virginia, Conness, and Lyell to the south. 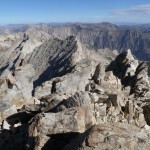 I had originally planned to tag the Dragtooth, the next bump north on Sawtooth Ridge, but lacked the motivation. A quick sand descent somewhat made up for the climb and, after emptying my shoes, I contoured around Whorl on a bench above the valley floor. 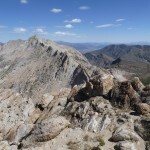 The south side of the ridge abruptly turns into a series of class 2-3 ridges and gullies, making the route obvious. 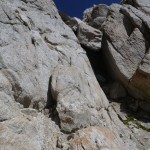 I climbed one somewhat at random, eventually reaching a large chockstone just below the ridge. The standard route evidently tunnels under the stone, but since I had not read the route description, I instead 4th-classed my way to its left on disturbingly rotten granite. 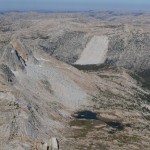 From there, a ramp and a bit of scrambling led to the summit, where I enjoyed my inaugural fish. 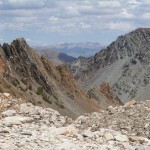 I spied an easy-looking route down the north side of the ridge at a saddle to the west, and briefly contemplated going over Burro Pass and Eocene to pick up stragglers from the main group. 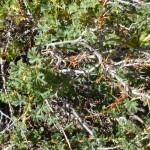 I soon thought better of that — there are some big days coming — and just returned down Horse Creek, losing some minutes in the trail maze near Twin Lakes Campground, to reach the car in 7h45.